Gerhard Storck was the Director of the Krefeld art museums when I first worked there as an intern in 1992, which was also when I started to find my way into the contemporary art scene. One day I asked him what he thought of Martin Kippenberger. To my astonishment he batted the question away with the words, “Not an artist. He’s a writer.” So I didn’t make contact with that person who supposedly lived in such a different world but concentrated instead on the many tasks and lessons that came my way in the Krefeld art museums with their magnificent collections and their ground-breaking exhibitions history. But more of that later. In 2003 a double anniversary was looming—fifty years since the birth of Martin Kippenberger, but also five years since his death. 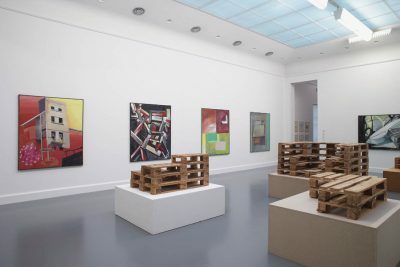 By the early 2000s there was already talk of retrospective reviews of Kippenberger’s art, that’s to say, the first posthumous exhibitions devoted to his work; I immediately joined in. I found it fascinating to be dealing with works by an artist whom I had never met in person. I hadn’t even been in his circle of his friends. But this also showed me that my existing methods as a curator—meticulously gathering, analyzing, and ordering information and materials—were ideally suited to this situation. I had already often found that the process of sorting and ordering provides the answers to substantive questions and extremely useful pointers for conceptual structures. I had learnt that going deeply enough into the core and the history of the art in question always sparked off ideas for exhibition themes and formats. The more I engaged with Kippenberger’s art the more my eye was caught by his less frequently shown works. So in my work at the Van Abbemuseum in Eindhoven preparing the exhibition After Kippenberger, I focused on his (at the time) less well known architectural and construction metaphors, which in turn cast an entirely new light on his core topic: the self-portrait. This approach has paved the way for the many serendipitous discoveries during my work with art and artists that have so often been an inspiration to me in my work as a curator. I have never been a fan of theories or of ideological interpretations borrowed from elsewhere. On the contrary, my interest is and always has been in the specificity of art and artists. My “curatorial praxis” and my commentaries on art are rooted in art—not theory—as I strive, as far as possible, to nurture art’s almost miraculous openness and fruitful ambiguity and to mediate the joy I find in these to others. And it is at this point that I feel particularly close to the artist I mentioned in my opening remarks and whose book Martin Kippenberger. 1984. 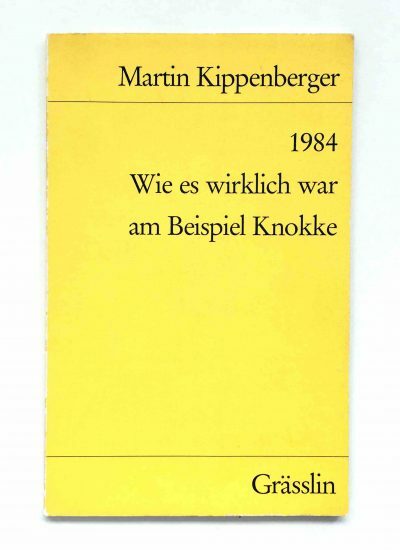 Wie es wirklich war am Beispiel Knokke—published in German in 1985 with a title that might be translated as “Martin Kippenberger. 1984. How it really was taking Knokke as my example”—will set the tone for my future blog entries. This is not merely a way of paying my respects to Kippenberger or a reference to my active interest in his art, it also indicates my indebtedness to his literary methods. 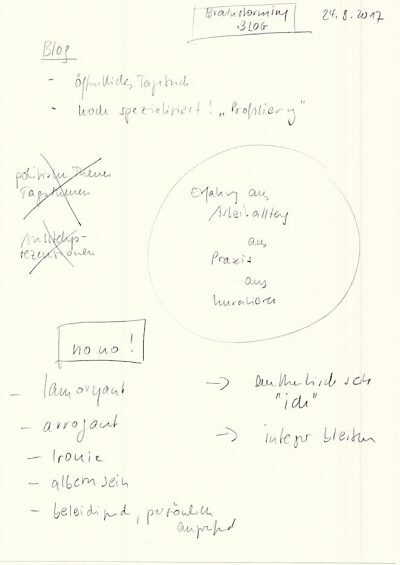 When Diedrich Diederichsen edited a volume of poetry and prose texts by Kippenberger (Suhrkamp, 2007) he added an afterword that very elegantly describes Kippenberger’s use and playful handling of literary devices in his work. This is not to say that I’m aiming to outkippenberger Kippenberger or even trying to imitate his artistic methods. But my own sense of freedom is founded in artistic attitudes and statements. Why not just write about the great moments I have had as a curator so far? Not beating around the bush, fabricating theories or drawing on other people’s theories, but just putting forward my own ideas “taking … as my example”—presenting practical arguments at a time when curating is in danger of being swamped by discourse. There may be those who will say that I’m not so much a curator as an exhibitions maker. In fact I see myself as both. But is there really any benefit in specifying genres? It’s true, Kippenberger was part of the literary world and made his own contribution to it. But does it really matter how that role is described? Kippenberger could never have been described as a theoretician in the art scene, and yet it was by toying with aspects and elements of the art world that he ultimately developed his own, unique stance. May that be my inspiration for this blog!